It is not necessary for a student group to have a logo. Using the group name in type only is perfectly acceptable. Student organizations may not use UMBC’s name or their affiliation with UMBC in any manner that may have the potential to suggest or imply UMBC endorsement, approval, support of, or opposition to events, activities, products, services, companies, policies, political and/or social movements, political candidates, and the like without prior UMBC approval. Students are encouraged to work with licensed vendors and/or designers to help structure group t-shirt designs. From displaying spirited school messaging, advertising an event, bolstering engagement in a cause, or simply increasing student group exposure, t-shirts are a great tool. Is the UMBC name used correctly? How is UMBC iconography used; is it altered? Is there any copyright or trademark infringement? 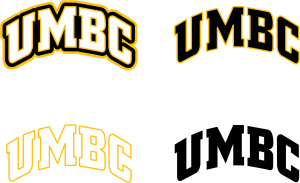 If there is messaging, does the addition of UMBC’s name or iconography create a message endorsement conflict? If there is a student group logo, does it clearly identify itself as a student group, use the UMBC name in the locational sense only, and/or abide by the rules set forth by the UMBC visual guidelines, found on this site? Please note: this mark can be colorized in a single color to fit your design. 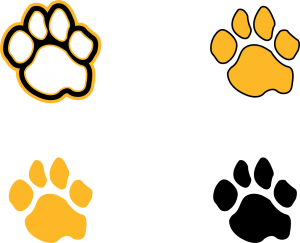 You can find other variations of the UMBC identity package on our “downloads” page.